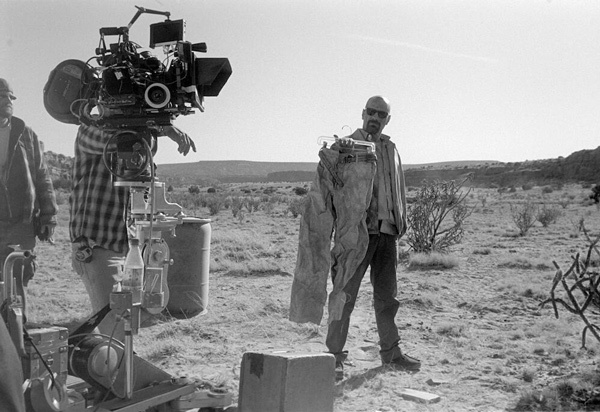 All fans of Breaking Bad know by now that the show contains an obsessive level of detail, from the Season 2 episode titles that revealed the season's big surprise to tiny character moments-- Walt cutting his crusts off his sandwiches the way he did for Krazy 8-- that reveal everything. So it's no surprise that last night's crushing episode "Ozymandias" contained some remarkable Easter Egg moments. 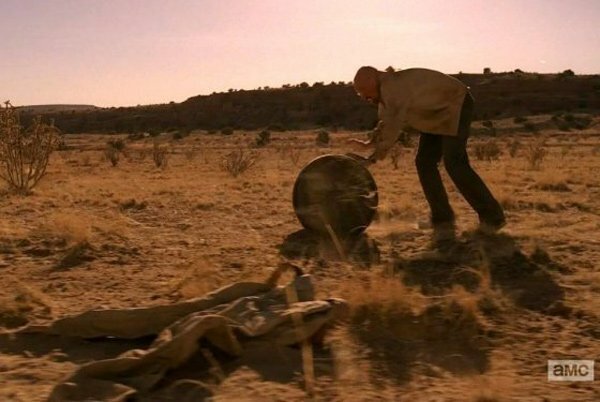 Like, did you notice Walt rolling that barrel past the pants that went missing in the pilot? Don't you remember? We saw Walt's bland khakis before we even met him in the pilot, flying through the air and getting run over by the RV as Walt panicked and drove away from the scene of his first crime. How about a more recent callback? 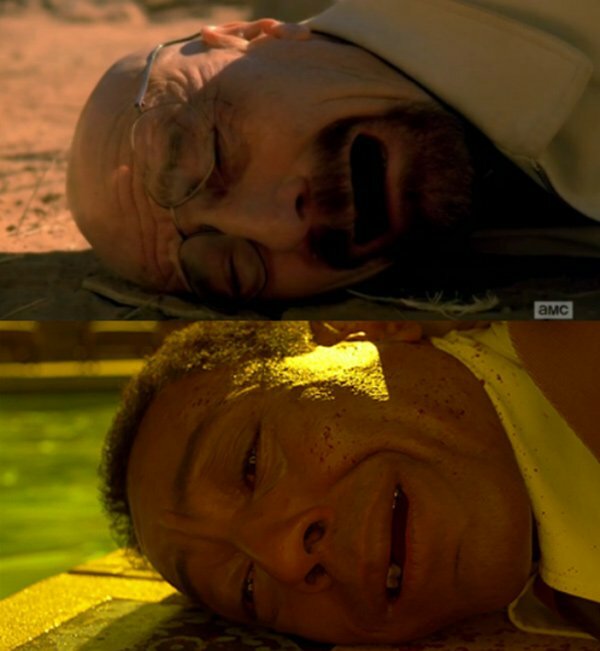 Slashfilm pointed out this screenshot comparing Walt's reaction to Hank's death to Gus's face after seeing his partner Max shot by Hector Salamanca in the Season 4 episode "Hermanos." This isn't the first time we've seen Walt unconsciously ape Gus's behavior-- as pointed out in this Buzzfeed article chock full of Easter Eggs, Walt has picked up a neat a tiny way of protecting your knees when emptying the contents of your stomach into the toilet. Well, I think we could probably all use a few deep breaths and perhaps a group hug after that devastating episode (or maybe an analysis of the show's new villains, if you're into that kind of thing). You can also check out a preview of next week's penultimate episode, if you're brave enough to dip your toe into the world of Breaking Bad already. Personally I think I need a few more days of coping before I can handle it.